Every year around Christmas time I make a green chile stew. I had no idea that last year was the last year I’d make it with chicken. oh well! Up until I had visited family in Albuquerque I was using a canned green chile to make this stew. 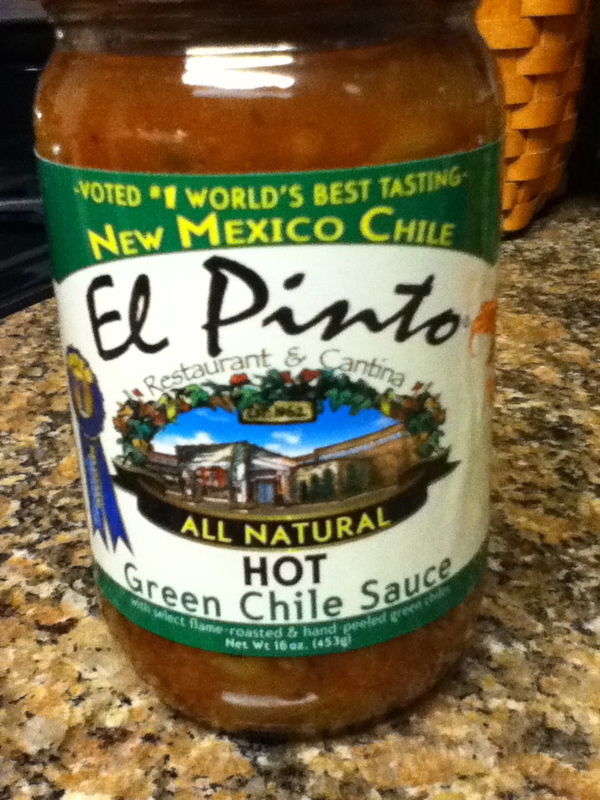 Since visiting El Pinto I have bought boxes of their chiles, sauces, and salsas. It always happens that when I place an order with them, I forget and this lovely box decorated in El Pinto stickers shows up at my door! Typically, I make two huge pots of this stew. 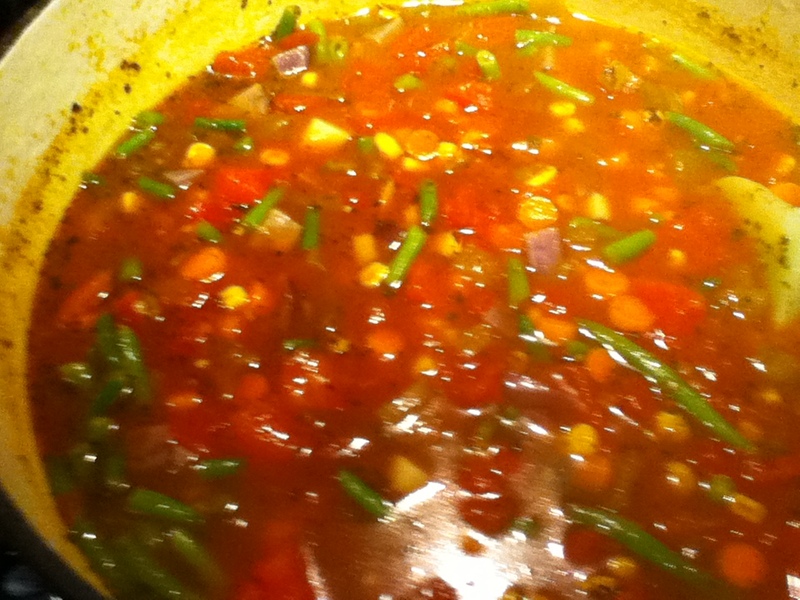 The night before my surgery I set up to making a pot and omitted the chicken and added lots of extra veggies! This is almost homemade, because I didn’t pick the Hatch chiles, roast them, and then add them to my pot. First, put about 1/3 c. of olive oil or saffron oil in the pot. Once warmed up, add in 4-8 minced cloves of garlic (depends upon how much you really want, we like a lot of garlic) and the entire chopped red onion. Add in the vegetable broth and let the garlic, oil, and red onion cook together. Then, add in the jar of El Pinto Hot Green Chile Sauce and the 2 cans of fire roasted chopped tomatoes (I prefer Muir Glen). Stir these all together for several minutes and then add you potatoes, corn, and green beans. Once the potatoes are fully cooked, add in the 2 tbsp. of Tabasco and cilantro. Between the jar of chiles and Tabasco, you really don’t need to add any extra spices. These two really take care of it all. Add chicken according to your liking, if you want! I serve this with tortillas and tortilla chips, whichever is preferred. I also might add more cilantro or a little chipotle pepper seasoning (whether it’s the spice or Tabasco sauce).